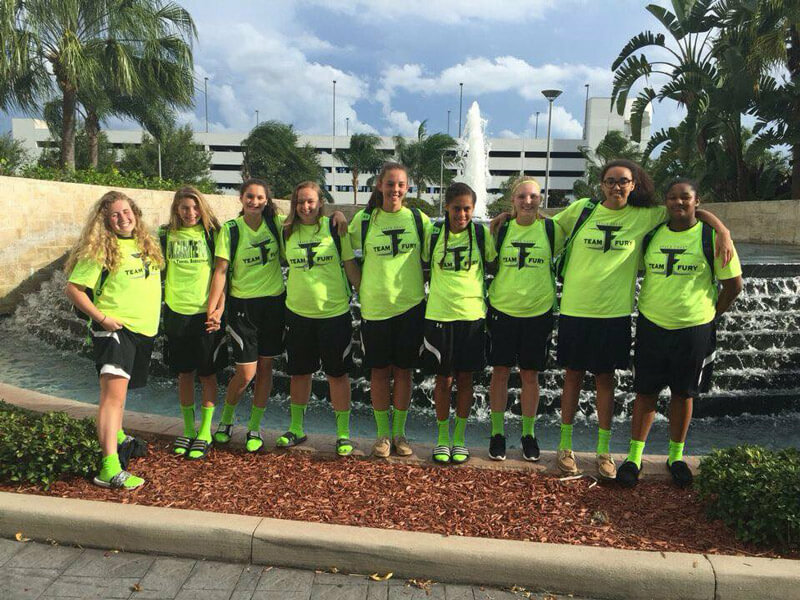 Space Coast Fury (SCF) is a Brevard County, Florida- based girl’s travel basketball team focusing on the athletic development for athletes Grades 6-12. We are a non-profit 501(c)(3) Organization with a culturally diverse roster created from multiple elementary, middle and high schools in the area. SCF believes in supporting the multi-sport athlete, developing the whole player and focusing on long-term development. Our goal is never to lose sight of the importance of character in building a team with strong, healthy, well-rounded athletes. As one of the few girls-only travel basketball organizations in Central Florida, we have teams that fit all skill levels. We teach the fundamentals that each player will need to master in order to succeed at the high school and/or college level. In addition, we offer private one on one sessions for those players who would like extra individualized training to perfect a particular skill whether it’s shooting free throws, ball handling, foot work, etc. Each year we evaluate the tournament schedule in Florida from AAU, USSA, YBOA and NCAA certified events and choose the ones that will give the girls the best competition and as well as potential exposure to college recruiters/scouts. Our 9th grade team recently placed 4th at the YBOA 2016 Nationals tournament in Orlando over the summer with a team comprised of five 9th graders and six 8th graders. Teams from Texas, South Carolina, Louisiana and Hawaii were represented in the 9th grade division. We will also be participating in several NCAA Live Events/Exposure Events with a select number of our teams where college scouts generally attend. This allows our players to perform against the top level teams in the state as well as in the country and have exposure to the recruiting experience. We also have the ability through Krossover to analyze game film and package videos of players to send to potential college recruiters/coaches. Our mission is to provide opportunities and exposure for young women through basketball whether playing at the collegiate level or laying the groundwork to succeed academically in their chosen profession. SCF participates in highly competitive tournaments in the State of Florida as well as attending skill camps and customized practice sessions by dedicated coaches to strengthen each athlete’s individual game. SCF teaches players to respect the game, to work and play hard while instilling life-lessons and values such as character, team work, discipline, honesty and integrity all while balancing their commitment to basketball and academics. 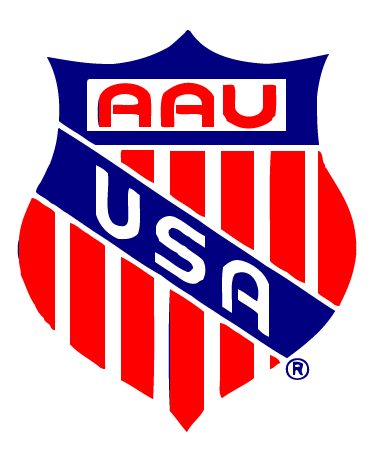 AAU stands for Amateur Athletic Union and is perhaps the largest of the travel sports organizations which is why it is probably mentioned synonymously when talking about travel sports. There also 2 other travel sports organizations that are prevalent in most of the country – USSSA (United States Specialty Sports Association) and YBOA (Youth Basketball of America). Most travel teams are members of at least one of these organizations to allow their organization to play in those sponsored tournaments. There are also NCAA certified events which allows college coaches to observe prospective student-athletes which may or may not be sponsored by one of the 3 main travel sports organizations. Student-athletes looking to extend their season or play against tougher competition will play travel sports. The experience is priceless as it offers players the ability to play and travel with instead of against other players in their county or district/region. Regular tournaments are played Friday-Sunday and expect 2-4 tournaments a month depending on location/travel and cost of tournament. Tournaments and practice gyms are routinely covered with a membership fee with an additional fee of $150-$300 for equipment i.e. uniforms, shoes, back pack, etc. Most teams perform fundraiser to help limit these costs to as little as $0 - $50. The last cost associated with travel sports is the traveling. Most organizations will car pool or charter a bus to save money and set up discount rates at local hotels. Most organizations will have policies outlining travel cost for those players traveling without parents to help offset cost of food and accommodations for traveling parents/chaperones. Why choose Space Coast Fury (SCF)? 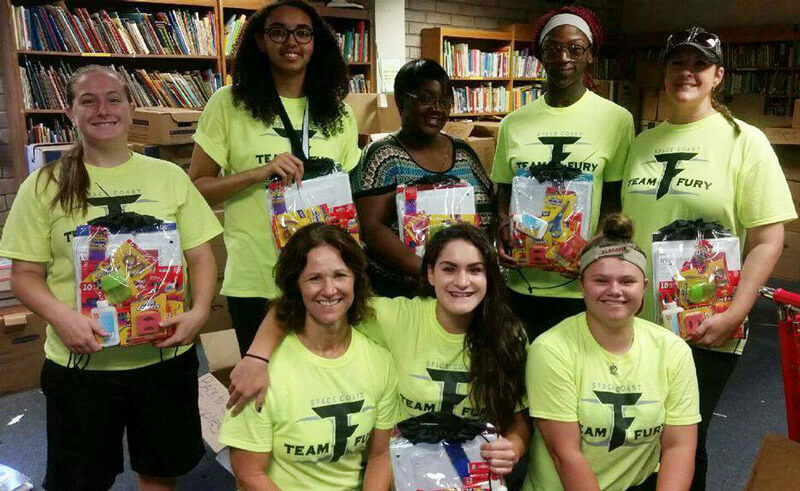 Space Coast Fury believes in giving back to the community to inspire the youth of today. As a team we volunteer in various community projects around Brevard County. We are currently working on a list of community event for the upcoming season.